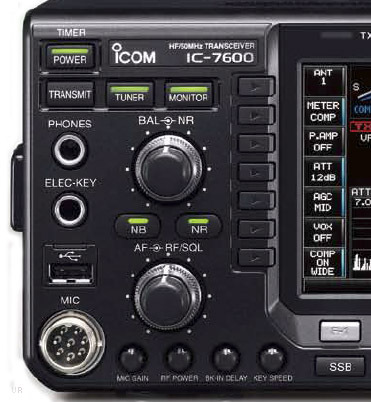 The Icom IC-7600 provides professional performance in the 160 to 6 meter amateur bands. 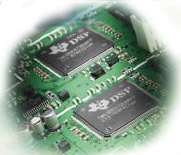 It utilizes Icom's proven IF-DSP technology and features selectable roofing filters at 3kHz, 6kHz and 15kHz. Like the IC-7700 and IC-7800, the IC-7600 uses dual 32-bit floating-point Texas Instruments DSP chips with one for the radio other for the spectrum scope. 104dB dynamic range and +30dbm 3rd order intercept point is achieved on the HF bands. It utilizes a double superhet with an image-rejection 2nd mixer circuit providing improved in-band IMD. 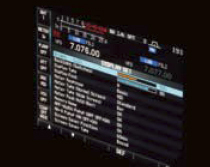 The 5.8 inch (diagonal) color WQVGA display has a quick-start LED backlight and views well from any angle and you can even program your startup screen. Dual frequency watch is available with same band operation. There is even a RTTY and PSK31 encoder/decoder built-in! 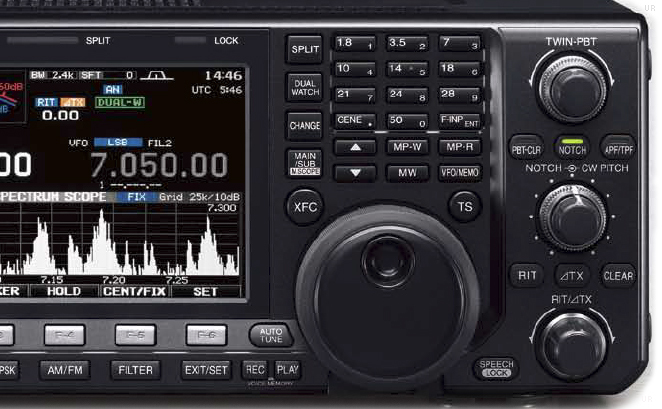 The IC-7600 has all the features you would expect are here including PBT, RIT, XIT, keypad, 24 hour clock-timer, 101 memories and multiple scan modes. 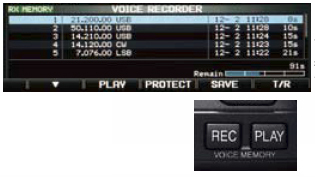 There is also a built-in voice recorder and voice synthesizer (English/Japanese selectable]. This radio has two USB ports. The front panel USB port is for keyboard or memory drive (not supplied) and one on the rear panel for PC control and audio. 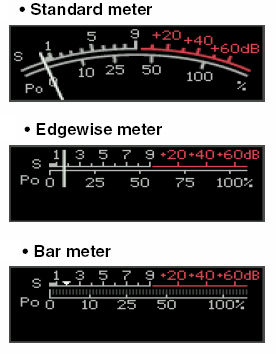 This radio has a six transmit meter functions and three meter display modes. Plus a meter output jack on the rear panel. Enjoy great stability with a built-in TCXO providing 0.5ppm (0 - 50°C). There is both a mechanical relay (16V/0.5A) and FET relay (250V/200mA) for keying external amplifier. Separate RX-OUT and RX-IN antenna ports are provided allowing connection of external preselectors, multicouplers etc. There is also a transverter port. This radio requires 13.8 VDC at 23 Amps. 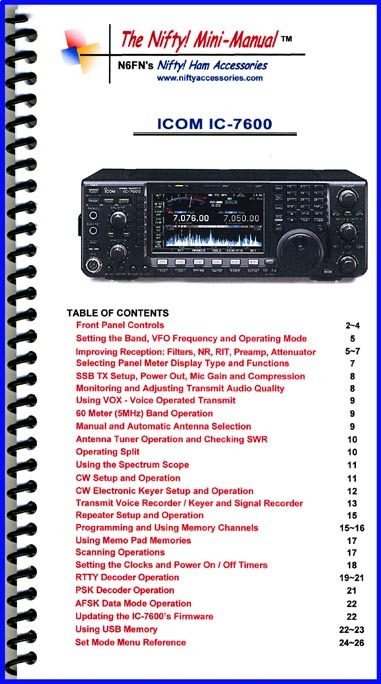 The IC-7600 comes with HM-36 hand microphone, OPC-1457 DC power cable, MB-121 carry handle, CW plug and spare fuses. 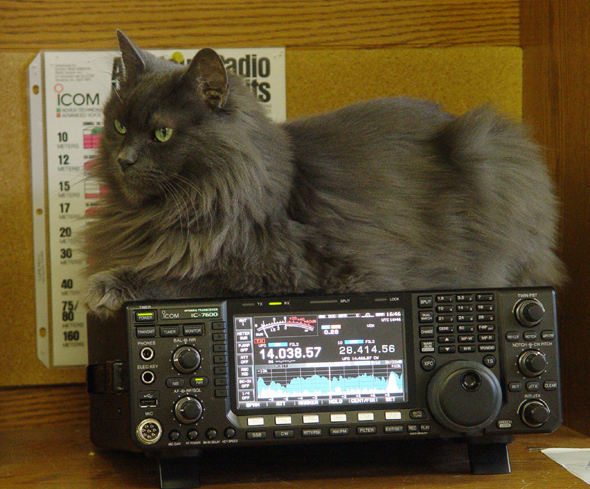 NOTE: Icom is now offering a free Firmware Upgrade.